Captain Bill Smyly has died aged 95, he was one of the last veterans of the two Chindit expeditions in the Burma campaign. In early 1943, Smyly was serving with the 3rd Battalion, 2nd King Edward’s Own Gurkha Rifles (The Sirmoor Rifles) (3/2 GR), part of 77th Indian Infantry Brigade, commanded by Brigadier Orde Wingate. Having been appointed Animal Transport Officer of No 5 column, he found himself in charge of the mules. In February that year, in an operation code-named Longcloth, the Chindits, 3,000 in number, having assembled in India, began their march into Burma. Their objective was to cut the main railway line between Mandalay and Myitkyina, harass the Japanese in the Shwebo area and, if possible, cross the Irrawaddy and cut the railway between Mandalay and Lashio. They were to be supplied by airdrops. Heavy weapons, equipment, rations and stores would be carried by the mules. Marching through the jungle in intense heat and torrential rain, they endured repeated bouts of malaria and dysentery. If they were badly injured, they were left at a village. This usually meant capture or death. East of the Irrawaddy, hemmed in by rivers, Japanese Zero fighters were searching for them. Air supply became very difficult. A few days’ rations for the column were made to last for a month. The mules subsisted on bamboo leaves. Smyly’s horse starved and died. Having achieved some of their objectives, the Chindits were divided into small units with orders to make their own way back to India. Smyly contracted beriberi, which affected his eyesight and his feet swelled up making it difficult to walk. He became separated from his unit and had to struggle on alone. For many weeks he trekked hundreds of miles through the jungle, receiving food and shelter from local tribesmen. His family were told that he had died and when news came that he had reached Fort Hertz, a remote British military outpost in north-east Burma, the British in India sent him a consignment of bully beef as a welcoming gift. William Jocelyn Smyly, the son of Irish missionary doctors, was born in Peking, on July 5 1922. He was educated at Wrekin College, Shropshire, and joined the Army straight from school. In 1942 he was commissioned into the 2nd Goorkhas, Indian Army, and was posted to 3/2 GR. Early in 1944 he took part in Operation Thursday, the second Chindit expedition. 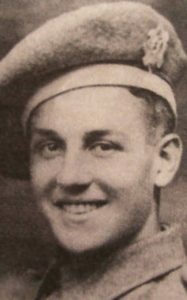 He was flown into 16th Brigade at Mahnton, Burma, code-named Aberdeen, but subsequently served with 3/9 GR and 3/6 GR in 77th and 111th Brigades. He was mentioned in despatches. In 1946, after a spell at Razmak, Waziristan, he was demobilised and returned to England. He went up to Clare College, Cambridge, to read History and English and embarked on a career in journalism with the Derby Evening Telegraph, the Daily Mail and then in Hong Kong for the South China Morning Post. He subsequently became a housemaster at the Hong Kong Diocesan Boys’ School. Later he was a teacher at the Chinese University. After returning to England he took a postgraduate degree at the University of Leeds. Taken on by the British Council, he was posted to Thailand and then Saudi Arabia. He came back to England for a spell and was the education officer at Bedford Prison before returning to the British Council, which sent him to China. After settling in Bedford, he enjoyed music and ballet, and was an active member of his local church and of the Burma Campaign Society, which promotes Anglo-Japanese reconciliation. Bill Smyly married, in 1967, Diana Chan, who survives him with their daughter.